What a happy find in my mailbox last Thursday! 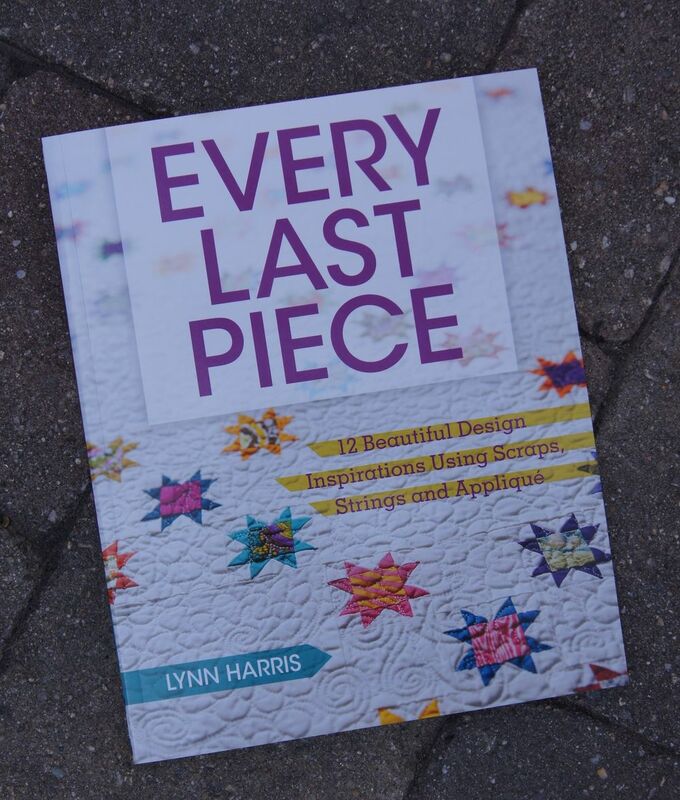 Every Last Piece by Lynn Harris was scheduled for release in May, 2015. But it's available now. This is a book which will appeal to anyone who has been quilting for a while wants to use those bags of scraps. There are quilt designs which only need a few scraps. And quilts which will make a serious dent in your scrap collection! This book has patterns which will make traditional quilter thrilled and another collection that is solidly in the modern quilting esthetic. There is even a quilt for those of you who like to carry piece-work for hand stitching. Lynn Harris starts by commenting that piecing the blocks for a string quilt is a perfect activity for a quilt camp/retreat. You only need to pack a small number of supplies and your scraps. And because no precision is needed to make the string blocks you can chat away and just enjoy the camaraderie of the group. Her patterns include scale templates which you can copy to cut blocks into squares, triangles or other shapes. She has made a quilt for each of the 12 designs in the book but also includes other possible variations. One of the quilts has a total of 8 variations! She even suggests using the layout of a quilt in the book but offers ideas for other basic blocks which might be substituted in the design. One of the beauties of this book is that it offers so many possible options, far more than the 12 designs noted on the cover. My favorite quilt in the book is "Beach Balls". I love it for it's simplicity, it's use of both linear and round shapes and especially for the rolling wave-like lines of her quilting. It's a gem. Sadly, it isn't shown on the covers of the book. You'll have to buy a copy to see it. One of the other really interesting quilts is "Trouble with Scraps" which is based on the Kansas Troubles block. Lynn has changed up the layout and used 30s prints in place of the traditional red and white solids. Her reconstructed pattern is full of movement and really sparkles. This book is a keeper. I know it's one I'll go back to time and time again for ideas. Pick up a copy for yourself. Or buy it as a present for a friend...and borrow it back! !